Last edited by MBTA F40PH-2C 1050 on Thu Jun 21, 2007 9:42 pm, edited 7 times in total. Here is this weeks St. Lawrence Sub action. 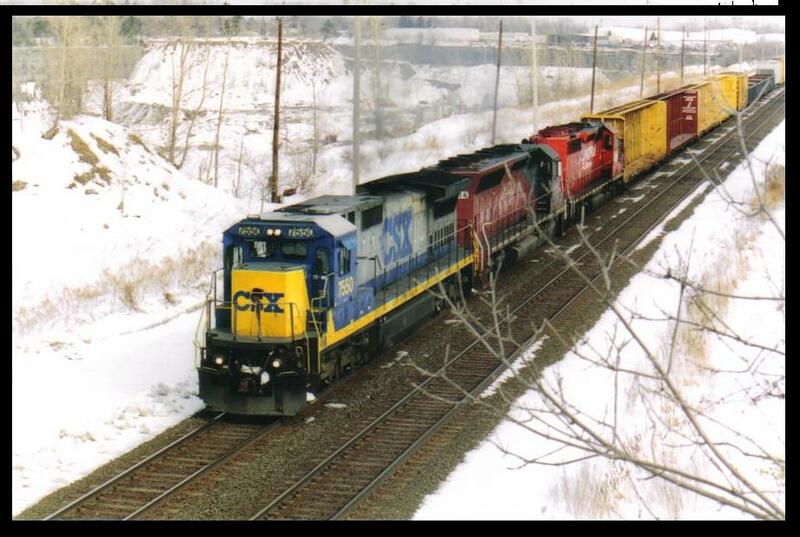 Q62119 with a CN SD70M-2 for a lead unit, first one I've seen. Q620 also with solid CN power. K23619 (coke train) headed north. And Q62023 with the first CN ES44DC I've seen. Is it any wonder the locals think CN runs things up here? A beaten up SD40-2 was on Q418 on Saturday, along with a former Trona leaser. Meanwhile, 2684 was still working, this time on CSAO train CA11 with three more CSX EMD's. B77827 with an empty coke train from Drum, 3/27/07. Here is L 118 at Iona Island on the 18th. Q409 from the same day. Q112 from the 28th at CP-7 in Bogota. I decided to go through some of my slides from years past and put a few to the net. They perhaps arent my best work but I am fond of these photos for various reasons so here we go! Vinnie DellaTorre gives a disgusted look as two Conrail C40-8W's pass on SEAL at Ridgefield Park, NJ 9/1998. CR 6617 passes by Alert Bert who reminds crews entering Selkirk Yard to "THIMK!! Watch your Step!!" CR 1910 and NS 7140 in Operation Lifesaver paint sit at the pedestrian crossing at Bogota, NJ. CSX has been in control for less than a month and they are already in meltdown!! CSX 7493 and UP 247 cross the bridge in Ridgefield Park, NJ with Q-271 3/2003. 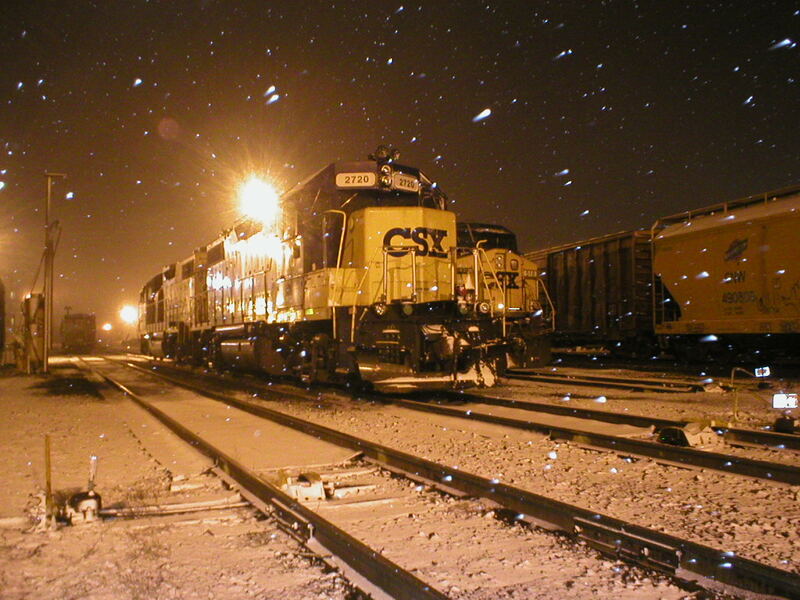 CEFX 3147, NYSW 3010 and HLCX 3825 are on SU-99 at Smiths Mills, NJ 9/2003. I do not know what the heck this car is, but here is a photo of it at Middletown, NY 7/2002. NYGL 935 sits in Suffern, NY 2/18/1995. Both taken from the Lake Shore Railway Historical Society in Northeast, PA at MP 73 on the Chicago Line. Here is an eastbound auto rack I shot at MP 73-The Lake Shore Railway Historical Society in Northeast, PA along the Chicago Line.